Career Sherpa offers 50 ways to stop having to look for a job — to lose your job search. 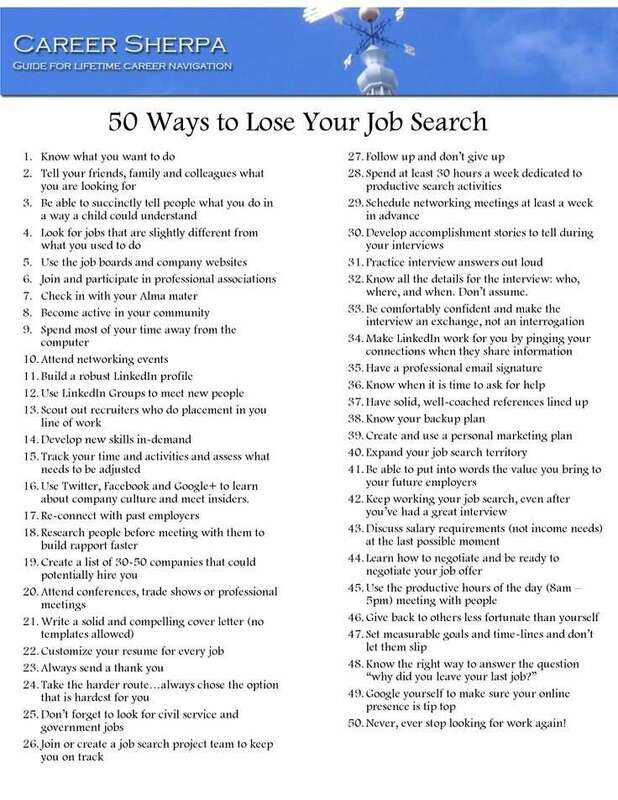 Much like Paul Simon’s 50 ways to Leave Your Lover Pin by Suzan Borden on Resume and jobhunting | Pinterest. How has the Job Hunt Changed?